Directed by special effects master Tom Savini, this episode of the criminally underrated horror series finds a young co-ed renting a room from a peculiar anthropology professor. 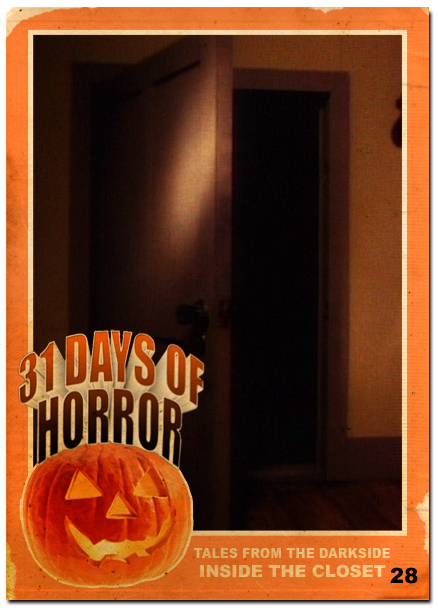 Soon after she finds that a strange, small, locked closet in her room hides a terrible secret. I agree, Tales doesn’t seem to get much recognition, but the few episodes I’ve seen seemed really good. Go figure. I think a lot of the lack of love for Tales from the Darkside was that it didn’t have the star power (in front of and behind the camera) that Tales from the Crypt did. Plus, it was originally aired on network television and subject to more toned down subject matter. Had it been on cable with a bit larger budget, I could have seen it giving Tales from the Crypt a run for it’s money.